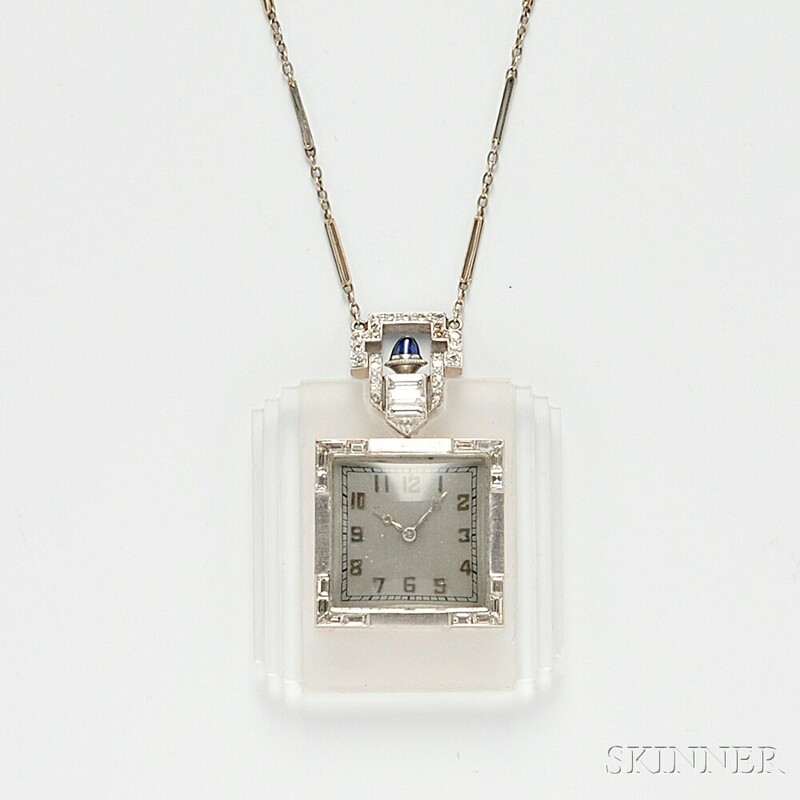 Art Deco Platinum, Rock Crystal, and Diamond Pendant Watch, France, the white metal dial with Arabic numeral indicators, 18-jewel Niton Geneve movement no. 3897, stem-wind and stem-set, within a carved rock crystal case set with baguette-, single-, and full-cut diamonds, lg. 1 1/2 in., bail no. 8499, maker's mark and export stamp, marked L.R., and suspended from a white gold paperclip chain with bezel-set diamonds and pearls, lg. 29 in. Winds, sets, ticks when wound. Crystal case with "flea bites" to edges.